That’s when it dawned on me: Contemporaneous is my favorite rock band. I’ll never forget my first concert. I’d taken a flyer on it; I had no idea who they were. The date was November 14, 2010, the place was the Hudson Opera House. I took my Flip cam along to make what the cognoscenti call a bootleg, if I could. Just like any rock aficionado worth her salt, I held up that Flip cam for seventeen minutes straight to snag a piece. All right, a little different, because it was music by a composer I’d never heard of. The composer’s name was Jesse Alexander Brown, and the piece was Through the Motions. There were a lot of firsts for me that night: I’d never seen three vibes-type instruments used in a single piece of music. Two young men hopped back and forth between them, and this great band played this fantastic music as a fellow named Josh Tanner knocked us flat with his fabulous flute. But here’s the thing about commissions. Rob Wendt, in his excellent review of an Arvo Pärt CD, wrote that, unlike for Pärt, “There are many contemporary composers who receive coveted commissions, only to see their creations shelved after one performance.” OK, maybe not everything can make it to a longer life, but a lot more should than does. Bootlegs aren’t the answer (even though Contemporaneous has so far welcomed mine, properly credited, to be sure). For one, this music deserves better than shaky hand-held video with its less-than-stellar audio. I felt lucky to find audio of at least some of the music on the web. That’s where I listened to Mattingly’s music for the first time, and what I heard made me hell bent on getting to Contemporaneous performances of his work. For one, we’d seen Mattingly at a student recital. He’d pulled out this huge score from his Contemporaneous tote bag and told us about his newest piece. I’d never seen a score up close, and this one was a gorgeous objet d’art. 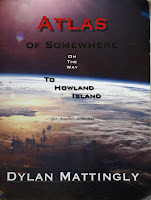 The score Mattingly showed me was for his magnum opus to date, Atlas of Somewhere on the Way to Howland Island. There was no way we were missing that premiere. I took my Flip cam to that, too, and caught what I could with its fading battery power. When Contemporaneous reprised Atlas up at Bard in what turned out to be the start of the October snowstorm debacle, we made that concert, too. Then I learned Contemporaneous was planning on making a CD. Of Mattingly’s music. Including Atlas and two pieces I’d missed hearing live. One hundred people contributed to the effort, and thanks to that, I now have a copy of the CD, Stream of Stars, in my hands. 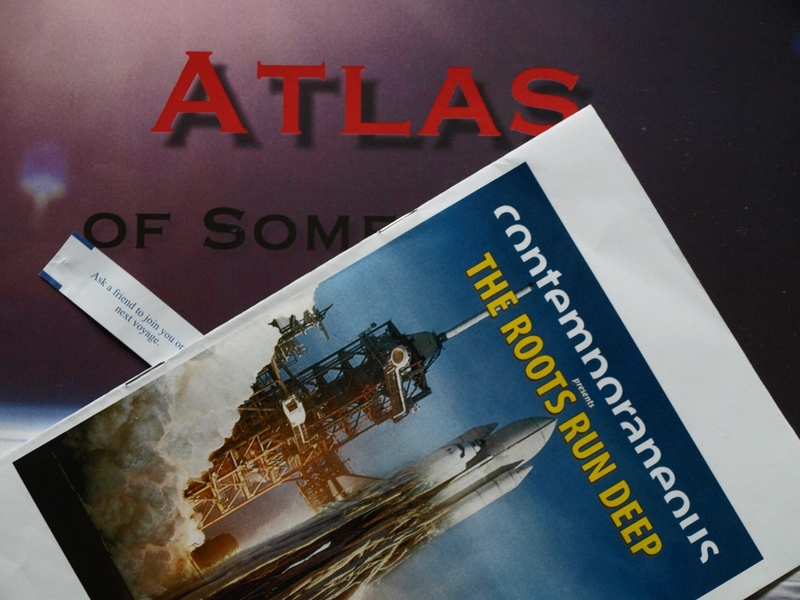 As for Atlas, though we can’t yet know what history will make of it, I hold fast to what I wrote before. Dylan Mattingly, young as he is, has, with Atlas, earned his place in the pantheon of contemporary American composers. Here’s an excerpt from Atlas, the two final sections (Elegy and Starship), as performed by Contemporaneous at the world premiere on September 24, 2011. The composer was in the audience that night (as were his parents, who’d flown out from California and who’d never heard Contemporaneous live before). It’s all captured on a bootleg, as any dedicated fan must do on such a historic night. One more thing. 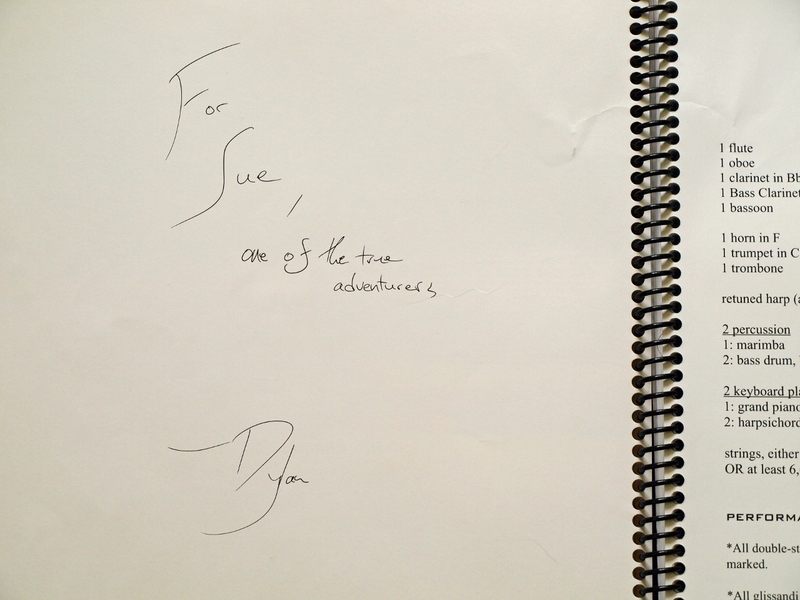 I’m also the exceedingly proud owner of an autographed copy of the score. History, get ready. I’m certainly ready for you. 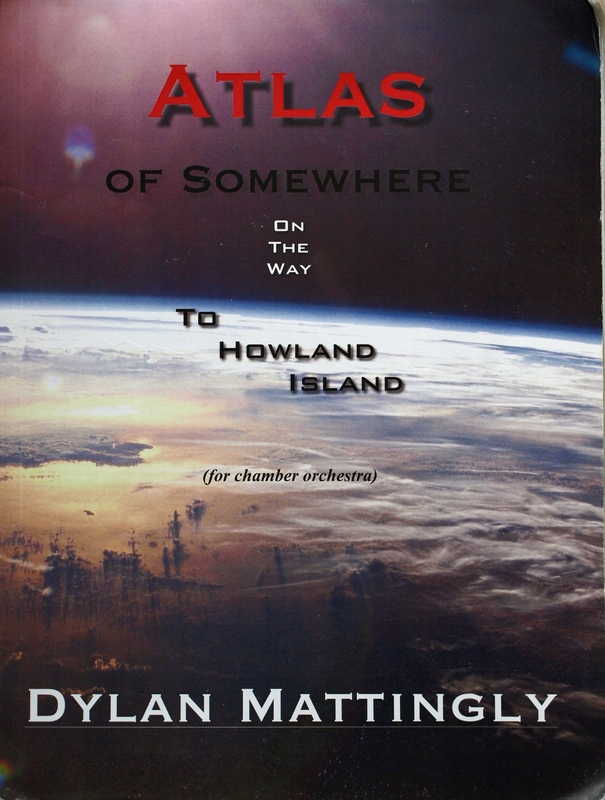 On April 11, 2012, Contemporaneous will open the 2012 Tribeca New Music Festival with a performance of Mattingly’s Atlas of Somewhere on the Way to Howland Island. Also featured on the program will be 23-year-old composer William Zuckerman's ensemble Symphony Z, playing his new work, Music In Pluralism. Both ensembles will be conducted by the indomitable David Bloom. The concert will be the official CD release event for Stream of Stars, as well as William Zuckerman's Music in Pluralism. For more information about the concert, click here. For more information on the Stream of Stars CD and digital release, click here. Names of some of the musicians of Contemporaneous can be connected with faces here. Contemporaneous musicians performing Atlas on the CD are David Bloom (conductor), Fanya Wyrick-Flax (flute), Alex Meyer (oboe), Amalie Wyrick-Flax (clarinet), Renata Rakova (bass clarinet), David Adam Nagy (bassoon and contrabassoon), James Haber (horn), Christopher Carroll (trumpet), Václav Kalivoda (trombone), Amy Garapic (marimba), Ronald Joseph (toy piano and percussion), Tamzin Ferré Elliot (quarter-tone harp and percussion), Mayumi Tsuchida (piano and harsichord), Maxwell McKee (harpsichord and toy piano), Sabrina Tabby, Finnegan Shanahan, Max Scheinin, and Caitlin Majewski (violins), Maryam Parhizkar and Anna Hadfield (violas), Katharine Dooley and Gabriella Spitz (cellos), and Bingwen Yang (contrabass). Credits: The image at the head of the post is my photograph of my copy of the Atlas score, my program from the premiere, and a fortune cookie message. The image of the score on its own is also my photograph of my copy of the score. The image of the fundraising results can be found here. 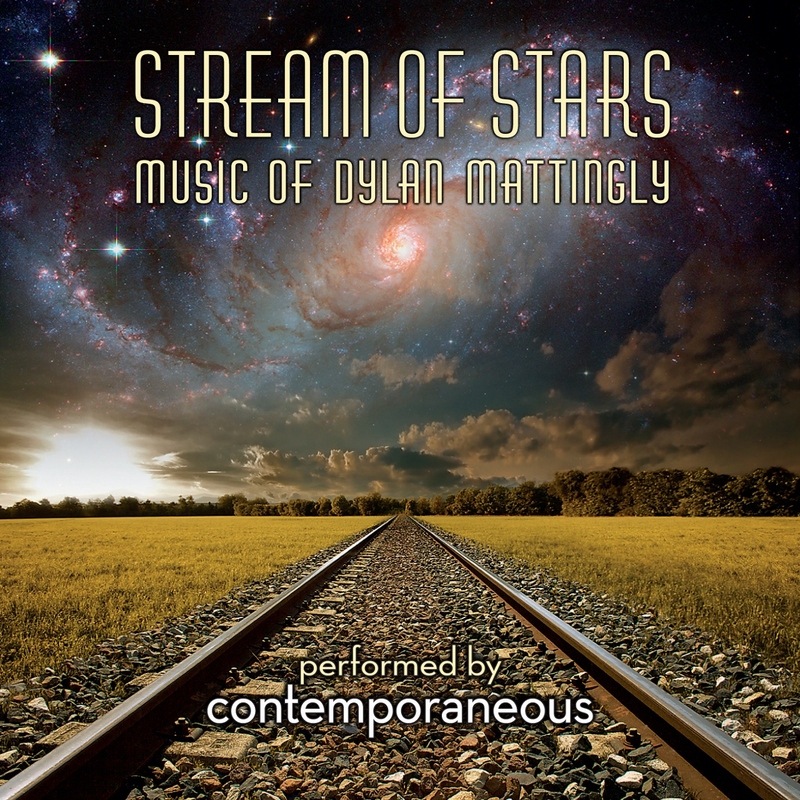 The image of the Stream of Stars CD cover (designed by George Mattingly Design, who also designed the covers for the Atlas score), can be found here. The quotations from Herringbone and Mattingly can be found here. The quotation from Rob Wendt's review at I Care If You Listen can be found here. I'll be back to spend more time here - do forgive absence - but just wanted to say what great news that these pieces have been recorded: Atlas... was one of those rare new works which grabbed right at the start, and followed through with a real sense of adventure. Also delighted with the cloudscapes of your NY foray: so agree with you and Gavin Pretor Pinney, author of an excellent little book on clouds, who is against (clear) blue sky thinking. We've had so many blue sky days recently, doesn't feel quite right in spring. Roger Daltrey also plays the composer-hero of Ken Russell's Lisztomania, a film I've never had the courage to watch. Hi- I feel a little sheepish being mentioned. You have given me a haven to feel safe. The arts help cross the great divide. And these folks certainly get after it. I liked Dylan's description. For me, It was like go for it, and you'll always know you did. It's kind of all about Amelia's psyche. Reinforced by that toy piano. I feel like I'm cruising with the real life cast of Peter Pan. Grace Slick is Wendy and everything is ok. One of my laments of the CD, is te loss of the album cover. Really dig the art work and what I percieve as a caption from a fortune cookie. As the piece comes to the end, the camera pans to Dylan, and he's feeling it. He's a spectator now, like me. To me that's very real. Inch by inch, bit by bit, slowly but surely, I am learning names and new music that I would have never even heard of without you Susan. Someone could ask me who Dylan Mattingly is and I can actually tell them now. Albeit hesitantly. As always with your posts, you present your topic in the most erudite of manners which affords the reader insight into a world with which he or she may well not be familiar. This is, of course, no exception. Here we have entered a previously unknown, to us, part of the catholic world of music and have been fascinated, intrigued and informed by all that you have to say, supported by the two excellent and well chosen video clips. Objects of such fulsome praise need further investigation. I'll be back when I've had a chance to do so. Susan-Thought a little about my comment. "sheepish" from the standpoint of I didn't think it would affect. It was a feeling. Like the Peter Pan comment. Howland Island was magical. A sense of flying. Freedom, youth, fear, exhilaration,Jefferson Airplane. I don't know if this makes any sense. Enormous credit is due to David Bloom for conducting ATLAS — and everything else in the contemporaneous repertoire. He makes the complex sound completely natural, the intricate inevitable. That's hard to do & many conductors don't. David really does. you always succeed to show me something that is very far away from me, thank you! - and after a bit of feeling like a wild horse that should be dragged to a well I relax and start to listen - to a music that makes me think of a lake, somehow elfin - and though very modern (but harmonious to my ears) it seems to be as old as the earth too. I understand your enthusiasm! And I like the words in the speech "Whether they get there or fail is of no consequence". Though its great that they succeed. All these names are new to me, except of course Earhart of whom my parents spoke with some reverence - it became a 'Pacific thing', the loss of this wonderful American. And the irony is that it may have been clouds that shadowed or false imaged the island on which she didn't ever land. Those clouds. I found the clips of Atlas rather scary, the tension and the foreboding. How wonderful that there is such inspired talent to firstly choose and then effect her tragedy in music. It all makes me wonder what lengths we go to to say 'I am' - the scratching of a name in a desk, to painting initials on a railway station wall, to having a blog, to composing great works, to great explorations. Is anything ever more than "I am"? And I reference the great Susan Sontag in that thought. Sorry to run at a tangent, but it's early morning here, a cloudless brilliant sky, and I've found the whole Earhart story especially moving. Perhaps if only she had no clouds. The Bic firelighter story, or why I thought you might have been tempted to hold one up for Mattingly. He palms the globe with his hand spread on the glass and stares at it. His fingers look so different from mine. They remind me of a superhero’s. “Why?” He doesn’t look up. I lift my fingers, leaving just the heel of my palm touching the globe, noiseless bolts crackling underneath. His palm moves under my fingers and I close my hand over his. Oh, but Roger Daltrey? He's just a singer in one of the 10 best rock bands of All Time. That's all. OK, now that's out of the way. I've been listening to my new digital download of the album, hoping I'd be able to articulate something on the music, but I'll have to leave that to you - you're very gifted at it. I'll just say I love it when that harpsichord kicks in. It looks like McKee is the one playing it? His 'Double Quintet' is a great piece of music. I'm sure the more I listen to 'Atlas' the more I'll pick out other moments. That's the pleasure of listening to long orchestral pieces - anticipating those moments. That harpsichord reminds me a little bit of the soundtrack to the movie 'Mission to Mars', composed by one of my favorites, Ennio Morricone, whose beautiful dissonance I can also hear in Mattingly. I'm inclined to agree with you, we're seeing history in the making with Contemporaneous. I'm a fan, for sure. And thanks to you. How lucky you are to see them live. Love your video, and how interesting that both the composer and the conductor would be pilots in an alternate life. I have something in common with Mattingly: Dylan's 'Blood on the Tracks' is also one of my favorite things. And now I'm really digging Contemporaneous. Thanks Susan! As promised and at the even more unearthly time of almost four in the morning, I am about to leave some semblance of a comment. I had a good listen to all and young, aspiring musical talent is there to see and appreciate. Listening to this seemed much like a fusion of the talents of Rick Wakeman and Emerson, Lake and Palmer. Susan- I had to go back to an earlier post of yours because I knew I had heard Mattingly before, so I've been lingering here a while, "on the barge, drifting along" listening to this dazzling music, and though it is too early for moonlight, I see it reflected from the water, along with the pricks of stars, and feel as if I've practically become the barge. Earhart was a hero of mine growing up. Mattingly and Contemporaneous bring her spirit to a new level. It feels especially emotional to me. What Mattingly said, Atlas "...is for the idea of people who have disappeared..." resonates, having recently lost a loved one. I listened to the whole piece on Soundcloud and it's magnificent. Its sounds, like Earhart, soar into the dazzling air. I'll be responding to all these wonderful comments soon, but for now, just a quick note, should anyone else venture over to Soundcloud, what is posted there is not the whole of Atlas, but the second movement. The whole piece is now available in digital form. Click here for information. 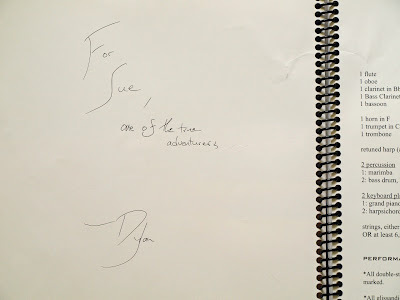 David: How very nice indeed it is to see you again over here—and over your way as well, as to that. As you know, you’ve been sorely missed. You come back in fine style, not only about the recording of Atlas, but also to offer up two bits of information new to me, Pretor-Pinney and the Daltrey-Ken Russell connection. We have a friend in England who undertook a study of clouds; I’ll have to ask her—I suspect she has Pretor-Pinney’s book. And as for Lisztomania—no luck for that one on Netflix, but maybe it’s just as well, given what you say . . . we did watch the Elgar/Debussy/Rousseau DVD, and that was fascinating. Scott/Herringbone: How had I missed that your “true” name was Scott?! I must get used to calling you that, as opposed to Herringbone—though perhaps I can do both? I love your perspective on Mattingly’s music—well, after all, as you saw, you inspired me as I came to write this post. I hadn’t thought of the association with Peter Pan (not to mention Grace Slick as Wendy! ), but it absolutely makes sense to me. I, too, was struck by Mattingly’s presence as a member of the audience that night—first the creator of all that magic, and now a listener, just like us—the circle unbroken, right? Rubye Jack: You can rest assured that inch by inch is how I have proceeded, too. It’s the same with anything we undertake, isn’t it? You start where you are, and you go from there. The first time I heard Contemporaneous, I had no idea whether anything I heard would connect. Since then, it’s been one happy surprise after another, with no end in sight. Jane and Lance: I love the phrase “catholic world of music,” (with a small c, as you note). It’s a rich new world to me, and I’m pleased you’ve been willing to come along with me on my musical travels from time to time. George: I’m so pleased that you wrote to weigh in on the contribution of David Bloom. I haven’t the technical knowledge to understand what he accomplishes, but, even so, I’ve had the growing sense that what he does is precious and rare. Britta: So, you see, now you are one of Mattingly’s “true adventurers,” too! I, too, was quite struck by Mattingly’s words, “whether they get there or fail is of no consequence.” Best of all was your description of what you heard, like a lake, elfin, and this, “and though very modern (but harmonious to my ears) it seems to be as old as the earth too.” That seems so right to me. wanderer: You can run at a tangent over here any time you like, my friend. I love what you’ve come up with here. Those clouds, oh, those clouds, and that small island Earhart may have mistook for one. Your meditation on the clouds, then moving to the great quest to say “I am” in whatever way we can, is quite beautiful. Suze: As I’ve written to you elsewhere, the Bic firelighter story is priceless. I suspect, however, Contemporaneous would be relieved that I’ve not come to a concert with a blowtorch! Mark: Now, of course, I’m eager to know what rock bands you’d name as your other nine. How great that you got yourself the digital download. Isn’t that harpsichord great? Who knew a harpsichord could play that role? And you’re right, that’s Max McKee! (Which I didn’t realize, either, until I went back to the video to get it ready for this post.) I love his Double Quintet, too, and it’s great to share that with you—not to mention Atlas and all the other music we’ve been trading back and forth. I also thought it fascinating that Mattingly and Bloom both chose pilots (for Mattingly, astronaut, wasn’t it?) as alternative careers. I can only say I’m glad they’re doing exactly what they’re doing—rocketing us all into the musical stratosphere. Gary: Aren’t you the night owl! Very neat that this post showed up in your research. I am amused, too, to see your references, the first of which was yet another I had to look up (keyboardist for Yes, I see)—the alarming gaps in my education have been exposed once again! Jayne: Clever of you, finding the movement of Atlas for a listen. What you’ve written is beautiful and affecting. I like the associations you’ve made to it: “too early for moonlight”—I like that very much. Bruce: Thank you so much for stopping by, and enjoy Stream of Stars! I faintly, faintly recall listening to Quadrophenia(!) . . . in the days when there were such things as albums (as in vinyl) . . .